Friday is decision day for Catalonia after the region’s leader left it to members of parliament to vote on whether to unilaterally declare independence from Spain. Yet among those backing a breakaway, cracks are beginning to show between moderates and hardliners. 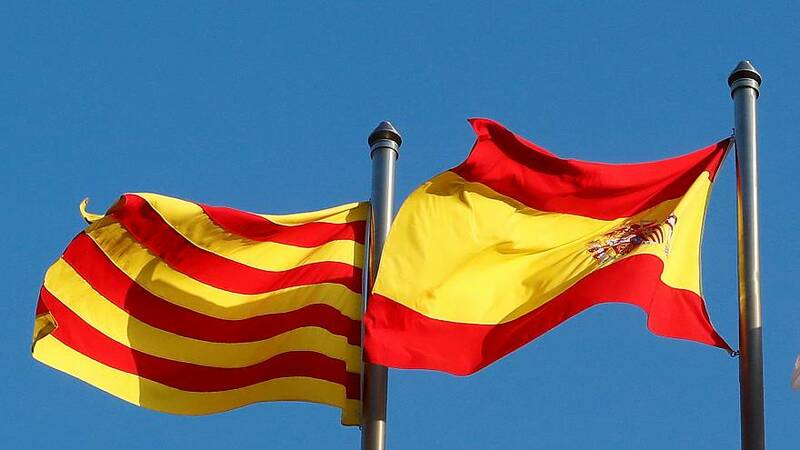 Madrid is poised to take direct control of the autonomous, rebel region in a move denounced as an ‘aggression” by staunch separatist Lluis Corominas of the ‘Together for Yes’ coalition. At the same time, however, the regional government’s business head Santi Vila resigned over his opposition to a unilateral declaration. In Thursday’s parliamentary session in Barcelona, anti-independence voices were also heard, decrying what they see as the whole sorry business since the referendum, declared illegal by the Spanish Constitutional Court. Earlier, Catalan leader Carles Puigdemont said he would not hold a new regional election to break the deadlock as the central government had not provided sufficient guarantees that this would prevent the imposition of direct rule. Puigdemont’s stand sets the stage for the Spanish Senate on Friday to approve the take-over of Catalonia’s institutions and police, and give the government in Madrid the power to remove the Catalan president. But this could spark confrontation on the streets as some independence supporters have promised to mount a campaign of civil disobedience. Our correspondent in Barcelona, Cristina Giner, said: “After another day of maximum uncertainty and tension, everything is left in the air. We will have to wait to see what the Catalan Parliament decides”.